Manila, 23 September 2016 – Epson announced the launch of its new 6-axis industrial robot, the C8 series robots. Along with the robots, Epson also provides advanced force sensor and vision system options as part of its technology features. 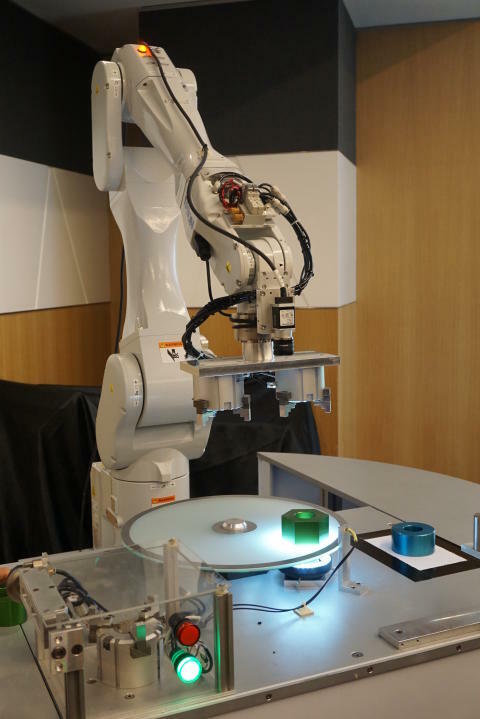 The new force sensors enable the robots to execute complex manufacturing tasks requiring high precision. With the force sensors, the robots are now able to ‘feel’ forces as limited as 0.1 Newton, and can perform tasks such as assembling delicate components. The sensors can also be used on tasks requiring human sensory perception such as polishing and deburring, freeing people from repetitive manual work. The C8 series robots carry the highest payloads in Epson’s robot range, handling up to 8kg at high speeds with minimal vibration. Its advanced residual vibration control technology utilizing Epson’s Quartz Micro Electro Mechanical Systems (QMEMS) senses angular velocity and feedback to help significantly reduce vibration during motion. One of the lightest robots in its class, the C8 series robots delivers high speed and precision in a compact space with maximum flexibility – its compact wrist and slim body design provides a wide range of motion for tight spaces. The industrial robots can also be equipped with Epson Vision Guide software as an option – advanced machine vision and image processing systems that provide an interface for developing robot vision applications. With this, the robots are able to ‘see’ and identify objects intelligently during the production process, enabling it to pick randomly positioned products for high precision placing and assembly..
“The launch of our C8 series robots along with the force sensors has greatly expanded the applications we are able to offer to customers and is a significant innovative development in the industry. With the strong demand for industrial robots in Southeast Asia, we are excited about the expanded possibilities that come with the force sensors for our customers. As we take the next step forward in the development of our robots, we envision robots that can work alongside and support humans across industries, from manufacturing to service sectors,” said Ng Ngee Khiang, Regional General Manager (SE Asia), Epson Singapore. Globally, it is estimated that from 2016 to 2018, robot installations will increase, at least by 15% on average per year (CAGR), with about 18% in Asia and Australia. Between 2015 and 2018, it is estimated that about 1.3 million new industrial robots will be installed in factories around the world (Source: International Federation of Robotics).